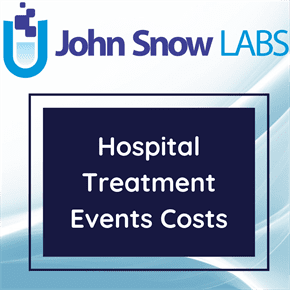 The dataset contains information of Healthcare Resource Group unit costs for acute hospital procedures, broken down by hospital site. This a merged dataset from years 2013 to 2016 for cost different hospital treatment criteria. Thirty-six (36) separate files were merged for this dataset. The dataset contains information on the hospital cost for different Healthcare Resource Groups (HRG) codes on provider hospitals areas. HRGs are clinically meaningful groupings of patient activity, based on procedures and diagnoses, which consume similar resources. Reference Costs provide indicators of the unit costs of providing a range of hospital and community services at trust and hospital level, based on information derived from electronic hospital activity systems and HSC trust financial and information returns. The information is used to contribute to performance monitoring of the Health and Social Care (HSC) system, policy formulation and evaluation, and responding to Assembly Questions and other information requests. The quality of such unit costs is dependent on how completely, precisely and consistently underlying activity data is capable of being defined and recorded and how precisely costs are capable of being apportioned to activity. This a merged dataset from year 2013-2016 for cost for daycase finished consultant episodes, daycase unit costs, daycase costs, elective costs, elective Finished consultant episodes, elective unit costs, non-elective short stay costs, non-elective short stay finished consultant episodes, non-elective short stay unit costs, non-elective long stay costs, non-elective long stay finished consultant episodes costs, non-elective long stay unit costs. Altnagelvin, Antrim, Banbridge, Belfast_City, Causeway, Craigavon, Daisy_Hill, Downe, Greenpark, Lagan_Valley, Mater, Mid_Ulster, Royal, South_Tyrone, South_West_Acute, Tyrone_County, Ulster, Whiteabbey. It also has the aggregated of total Northern Ireland.